When it’s also easy to count the points on a deer at 75 to 100 yards, so why should it be harder on a turkey? What is good for one is good for all. Does this sound stupid, not anymore than the Q.D.M. deer proposal that supposedly OUR DNR bought into.When and if the N.R.C. agrees to this they should resign. Most folks know that shooting 2 big racked bucks is what decimated the bucks, not shooting spikes. Years ago in the 50’s when you cold only shoot 1 buck there were plenty of big racks, then the DNR opened it up to more bucks, to sell more Licenses, that is where the big ones went, if we went to 1 buck and no restrictions they would sell more licenses and everyone would have an even chance. Where can the middle class person hunt when they don’t own land. Also the the State Forest doesn’t hold many deer as there isn’t any food in them, the Foresters cleaned them out for the money. When a few people can dictate to the DNR and they agree, they are being bought off and looking out for the money people, not Joe Lunch Box Hunter. Did you ever wonder why you hunt Turkeys? While hunting is it the shooting of a bird, or the calling and trying to outfox a gobbler? Perhaps getting out in the woods in springtime to view and listen to Nature i.e. ; Birds, Deer and all the other animals. This is what hunting is all about, not having to shoot a turkey in an hour or so then you are all done. How can a person think this is what hunting is about. 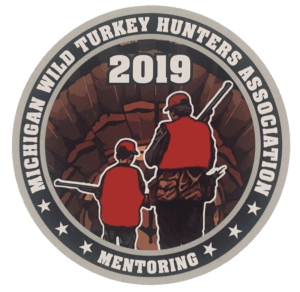 Going out in the woods shooting something in an hour or two isn’t the way to Mentor and teach a young person to be a hunter. This will not make them one. When they can’t shoot an animal or see a lot of them, they will be bored and quit hunting. We don’t teach a young person to be an athlete in 1 or 2 hours. It takes days, weeks and years. Why doe the DNR think it only takes a short while to teach a youth to be a hunter, with a give away license for 2 days, then they can also hunt during the regular seasons? Whomever thought this up wasn’t interested in teaching hunting, only selling licenses. Anything in life you need to train for, you don’t become a quarterback or a baseball pitcher without training. Why do they think a 2 day hunt will make a hunter, without training. Ideas that bug me.